Pasanda means everyone's favorite,so try and enjoy every piece of pakoda with the flavors of paneer and some pickle. 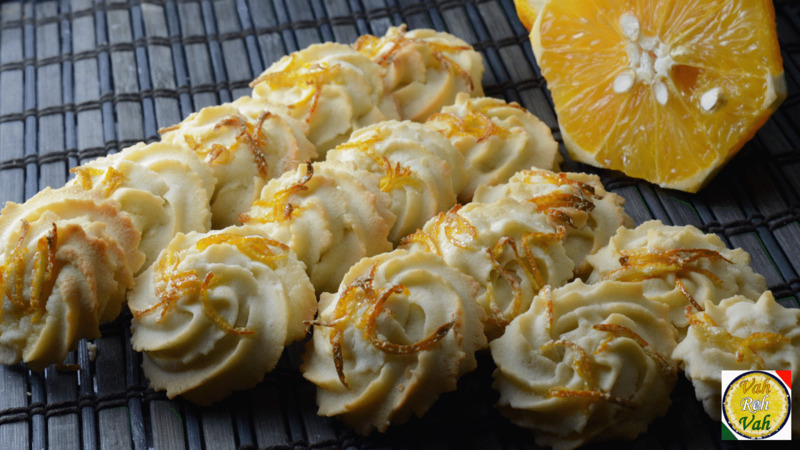 Light and fluffy with the flavor of orange biscuits are perfect to refresh your mind from all your tensions. Egg fried rice is a feast for non vegetarians with the spices of boiled egg and chatmasala, goes well with lunch and meal. A delicious whipped cream recipe with rich ingredients and pineapple flavor, goes well in many family gatherings and parties. 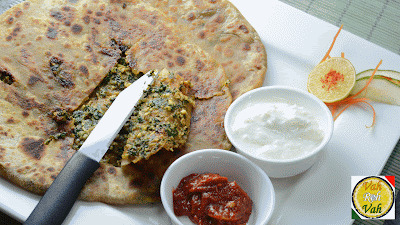 This Palak Paneer Paratha is a healthy breakfast recipe, loaded with fiber, proteins and vitamins. Easy homemade garlic bread recipe with fresh garlic, basil, and a soft buttery center. A colorful and healthy pink colored roti with added extra flavours, also a perfect recipe to pack. Oats and carrot Pongal is a very healthy and easy to prepare south indian breakfast recipe. Vattayappam is a steamed rice cake commonly served as a snack or breakfast in Kerala. This easy spinach lasagna recipe is made with layers of creamy ricotta and spinach filling, tomato sauce, and mozzarella cheese. 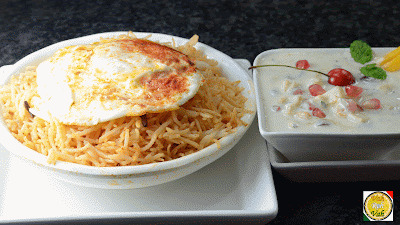 Idiyappam biryani is an fancy and contemporary dish with lots of vegetables added masalas. This is an very famous north Indian sweet recipe made with ground rice, milk and rose petals, which is an perfect dessert to end up a meal. It is an Italian appetizer topped up with creamy mushrooms, will make a best tea partner. Minced chicken balls cooked in a creamy textured white gravy with immense flavors to accompany with rice and rotis. This Turkish delight recipe is delicately chewy, perfectly sweetened, and authentically flavored with a touch of rosewater. Crispy fried noodles drizzled with honey is a hot and cold combination when served with a scoop of vanilla ice-cream. This is an easy and healthy fruit bread recipe, can be served as breakfast or as a snack. This coffee mousse recipe is a delicious dessert, perfect for the end of a romantic dinner. Buns stuffed with lots of veggies and steamed till they are fluffy will melt your taste buds. Combination of almonds and cinnamon gives a tasty punch to a normal green tea. A tasty paneer masala packed between slices of bread lined with tongue-tickling chutney makes a wholesome snack. Onion sambar, Vengaya sambar made with shallots is a popular south indian recipe goes well with rice, idli or dosa. Rice flavored with raw banana and Indain masalas gives very nice taste and can also be prepared with leftover rice. A healthy breakfast recipe which can be made in minutes and tastes yummy too. Breakfast with the goodness of egg and mildness of idly will make you to melt. Delicious home made cake to serve in any occasion. Kids will love to eat this crunchy and cheesy potato dish as a snack. Richly stuffed okras are cooked in a kashmiri style gravy gives immense taste to pleasure. Samosa is a Delicious Indian deep fried snack and this steamed samosa is a healthier version with out oil. Sticky rice with mango is one of the silky, creamy, fruity and satisfying dessert to enjoy with. Khaju khatli or Khaju burfi one of the most famous and nutty sweet dish of Indian house holds. An eye filling dish with the goodness of vegetables, corn and egg. Perfect recipe to serve some one special with a special brunch. Drumstick Leaves tempered Rice is one of the superlative way to steal this iron rich greens. Perfect Ayurvedic recipe to treat cold and fever. An fluffy, light and vegetable stuffed steam buns make a perfect breakfast recipe. 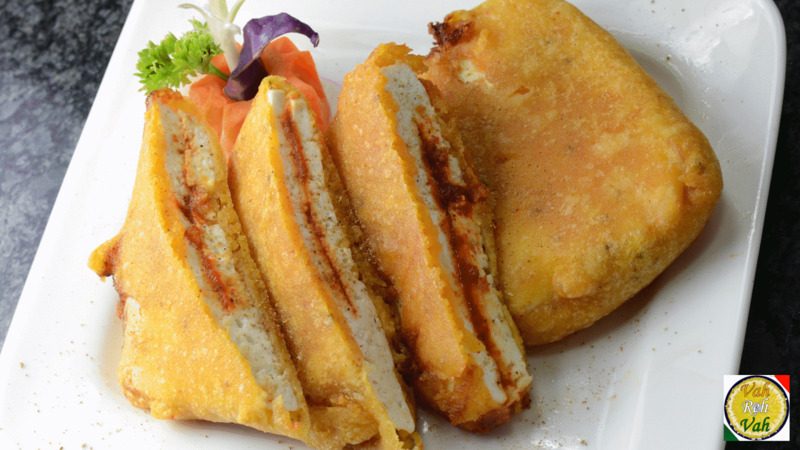 Dhabeli is an type of sandwich stuffed with spicy potato masala and served with tangy and spicy chutneys. This Mushroom soup is easy to make, its silky and tasty texture makes you to fall in love. A delightful pudding is the perfect way to finish a family meal and this yummy dates pudding will be prepared with in no time. It's a freshly made pan-baked pizza with deliciously soft, cheesy and crunchy bite. It always a better to eat steamed food, fish stuffed with veggies will retains the goodness. Tasty and delicious Halwa stuffed in a crispy spring rolls.